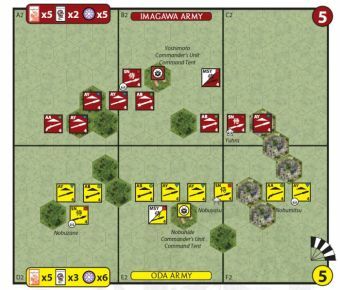 Sohei Warriors in Battle reroll all H&F for additional results in close combat. The first H&F on an Inspired Leadership roll is still cancelled and does not trigger an additional roll. 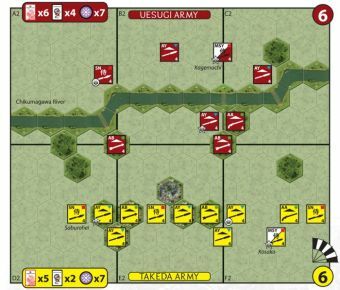 When eliminated, the Sohei Warrior unit’s army loses 2 H&F tokens. 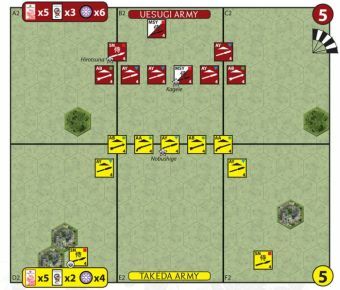 Sohei Archers in Battle reroll all H&F for additional results in ranged and close combat. 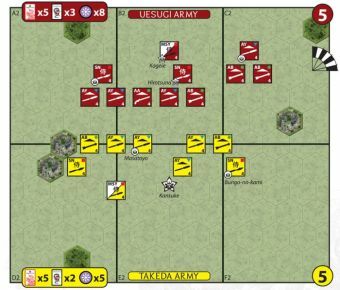 The first H&F on an Inspired Leadership roll is still cancelled and does not trigger an additional roll. 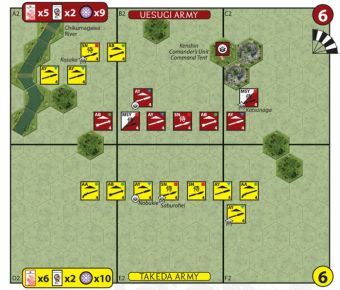 When eliminated, the Sohei Archer unit’s army loses 2 H&F tokens. 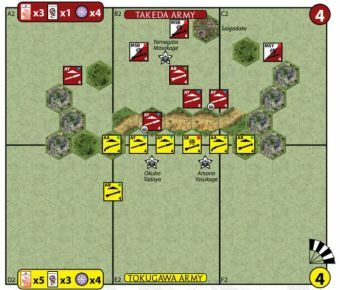 The Sohei units are designed to represent the powerful militant arms of the great temples of the late Heian period that clashed with the Taira in the early phase of the Genpei War. 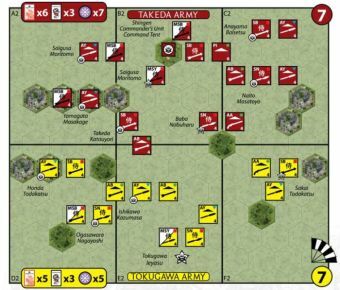 While capable of success, players may find them limited in their tactical options and frequently outmatched by the stronger and more diverse Taira armies they face. 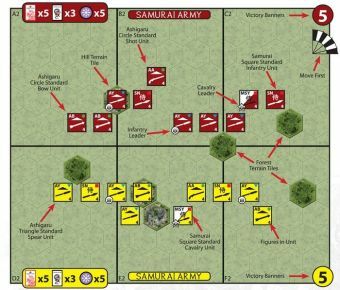 This is intentional design, representing the ascendancy of samurai military tactics and combined arms forces over those of the monks. 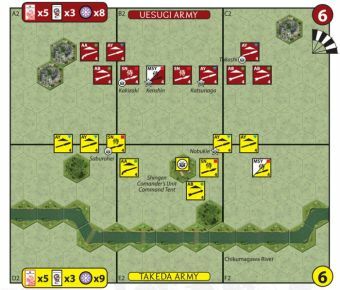 For players seeking more balanced battles, optional rules are provided in the relevant scenarios for replacing some Sohei units with red square samurai.